Below are some of the most frequently asked questions that we hear concerning our Legitronic Labeling Software. FAQs are sorted by software version. Legitronic Software Support at 1.847.364.8500, press "2" for Service. What do I need to run Legitronic Label Printing Software 3.7.X? What has been updated or fixed in Version 3.7.X? Legitronic 3.7.6 is the latest release of Weber Packaging Solutions label printing software. It includes a number of new features as well as bug fixes. Can I install Version 3.7.X over an existing installation of an earlier version? No. You'll want to back up all your label formats and databases, and uninstall Legitronic Labeling Software before using Version 3.7.X. Is Legitronic Label Printing Software 3.7.X backward compatible with earlier versions of Legitronic Labeling Software? No. Like previous releases, once you've opened and saved a label format in Legitronic Label Printing Software 3.7.X, you cannot open the format in an earlier version. How do I install Legitronic Labeling Software? The instructions for installing the various components of our software can be found on the install.pdf located on the Legitronic Software CDROM. If you cannot locate your Legitronic Software CD then then use the attached copy below. Do I need a license to run Legitronic Labeling Software? What does a "dongle not found" error in Legitronic 3.7.X mean? USB Dongle Professional Version & Secure Series Version are the same part number- 45243.
a) If you have a USB dongle, unplug it from the port until this procedure is complete. b) In Windows select >Start >Programs >Weber Packaging Solutions >Legitronic Labeling Software For Windows >Sentinel Installer or NT Sentinel Device Driver. c) Install the driver using default settings. Reboot the computer if prompted. Can I still use my Parallel Dongle (part number 41514) with Legi v3.7.X if my PC has a parallel port? How can I get a printer driver for Legitronic versions 3.7.X? Weber Packaging Solutions is now certified as a trustworthy software publisher. Legitronic printer drivers are now supported under Windows 8. Legitronic Supported Printer Drivers are included on our Software Installation CD. How do I install a printer driver in Legitronic versions 3.7.X on Windows XP & 7? The automated installer now installs both the USB and Parallel port drivers for legacy customers. Parallel port licenses keys are not available from Weber. Refer to: Pages 26-34 from the Install.pdf (PDF) documentation that comes on the Legitronic software CDROM. How do I print a label longer than a 11" inches? Why does only part of my label print when using Legitronic 3.X? How do I change the printer darkness setting? 1. Open your label for design and select the "File" menu and then select "Printer Setup." 2. Select "Send Darkness Command" if you want the label format to control this setting, and change the value under "Setup Darkness." 3. Select "Use Printer's Darkness Setting" if you would like the printer to control the darkness. How do I change the print speed? 2. Select "Send the Print Speed Command" if you want the label format to control this setting and change the value under "Setup Speed." 3. Select "Use the Printer's Speed Setting" if you would like the printer to control the print speed. The label constantly prints too high or too low on my media. How can I adjust this? 2. Select "Send the Label Top Command" if you want the label format to control this setting and change the value under "Setup Label Top." 3. Select "Use Printer's Label Top Setting" if you would like the printer to control the Label Top. Can I use Legitronic Label Printing Software 3.7.X in conjunction with my Database? Yes. You can use the ODBC access method found in earlier versions of 32 bit Legitronic Labeling Software, and additionally, you can now access a database using Microsoft's OLE DB interface. What Do "syntax" errors reported by ODBC or OLE DB drivers indicate? Modern database programs, utilities and drivers employ a large number of "special" characters as programming operators, I.E. #, @, -, etc. Remove any non-alphanumeric characters from your database's table names and/or column names. What does an ODBC error mean? There are various ODBC errors possible. The following items may help in troubleshooting ODBC errors. 2. Check the Data Property of your fields on a label and make sure that they all reference the name from Step 1. 3. Never use a default name for the Data Source like: dBase Files, Excel Files, MS Access Database. 4. Make sure that the Data Source Name is available for the user that is printing labels. 5. If the database file was updated, make sure that none of the column headings or table names were changed. The label template won't recognize the new names. 6. If the database table name or columns headings were changed in the database, the label format needs to be modified to reflect the new names. Can I use my existing Batch Print Controls with Legitronic Label Printing Software 3.7.X? No. The Batch Print Control feature is not Unicode compatible, so this feature has been removed from version 3.7.X. Can I still use Application Designer with Legitronic Label Printing Software 3.7.X? No. The Application Designer feature is not Unicode compatible, so this feature has been removed from version 3.7.X. Can I still control my user's Data Rights in Legitronic Label Printing Software 3.7.X? No. The Data Rights feature has been removed from the Security Administrator in version 3.7.X. Today's operating systems and network environments provide much better access control of file locations. Can I use the Unicode Character Set with Legitronic Label Printing Software 3.7.X? Yes. This new version has been redesign to take advantage of the Unicode capabilities of Windows 2000 Pro and XP Pro. Does Legitronic Label Printing Software 3.7.X support Gen 2 RFID tag encoding? Yes. Just be sure to use an RFID enabled printer driver when designing your labels. Does Legitronic Label Printing Software 3.7.x support 1D and 2D Barcode encoding? Yes. 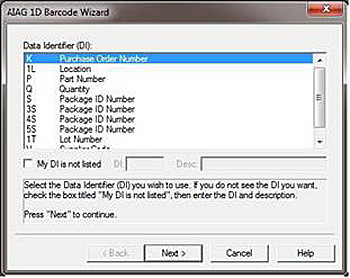 – One of the new features is a GS1 DataMatrix Barcode Wizard that helps in encodeing 1D & 2D barcodes. 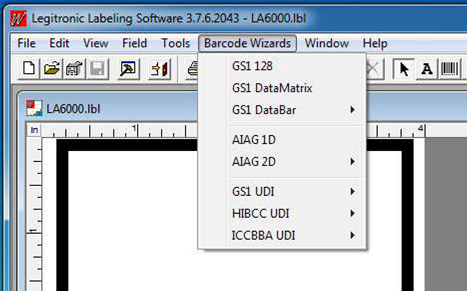 In label design, right-click on a data matrix barcode and click on GS1 DataMatrix Barcode Wizard. Use the wizard to create and encode data matrix barcodes meeting requirements of the GS1 DataMatrix specification. In label design, right-click on a Code 39 or Code 128 barcode and click on AIAG 1D Barcode Wizard. Use the wizard to create and encode barcodes meeting requirements of the AIAG (Automotive Industry Action Group) specification. 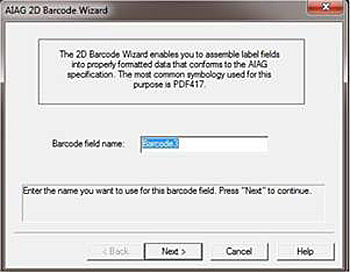 In label design, right-click on a PDF-417 barcode and click on AIAG 2D Barcode Wizard. Use the wizard to create and encode barcodes meeting requirement of the AIAG (Automotive Industry Action Group) specification. GS-1 bar code wizardBar Code wizards are now top level menu items, noting that it is no longer necessary to create a bar code field first and then right-click on it. Expanded the available selections. What do I need to run Legitronic Label Printing Software 3.6.6? - ***Please Note that Legitronic Software v3.6.6 has printer drivers only for Zebra, SATO and Datamax printers compatible with Windows VISTA (32bit & 64-bit), Windows 7 (32bit & 64-bit) and Windows 8. What has been updated or fixed in Version 3.6.6? Legitronic 3.6.6 is the latest release of Weber Packaging Solutions label printing software. It includes a number of new features as well as bug fixes. Can I install Version 3.6.6 over an existing installation of an earlier version? No. You'll want to back up all your label formats and databases, and uninstall Legitronic Labeling Software before using Version 3.6.6. Is Legitronic Label Printing Software 3.6.6 backward compatible with earlier versions of Legitronic Labeling Software? No. Like previous releases, once you've opened and saved a label format in Legitronic Label Printing Software 3.6.6, you cannot open the format in an earlier version. What does a "dongle not found" error in Legitronic 3.6.6 mean? Can I still use my Parallel Dongle (part number 41514) with Legi v3.6.6 if my PC has a parallel port? How can I get a printer driver for Legitronic versions 3.6.6? How do I install a printer driver in Legitronic versions 3.6.6 on Windows XP & 7? Refer to: Pages 26-34 from the Install Legi366.pdf (PDF) documentation that comes on the Legitronic software CDROM. How do I install a printer driver in Legitronic versions 3.6.6 on Windows 8? Can I use Legitronic Label Printing Software 3.6.6 in conjunction with my Database? Can I use my existing Batch Print Controls with Legitronic Label Printing Software 3.6? No. The Batch Print Control feature is not Unicode compatible, so this feature has been removed from version 3.6. Can I still use Application Designer with Legitronic Label Printing Software 3.6? No. The Application Designer feature is not Unicode compatible, so this feature has been removed from version 3.6. Can I still control my user's Data Rights in Legitronic Label Printing Software 3.6? No. The Data Rights feature has been removed from the Security Administrator in version 3.6. Today's operating systems and network environments provide much better access control of file locations. Can I use the Unicode Character Set with Legitronic Label Printing Software 3.6? Does Legitronic Label Printing Software 3.6 support Gen 2 RFID tag encoding? What do I need to run Legitronic Label Printing Software 3.6.4? - ***Please Note that Legitronic Software v3.6.4 has printer drivers only for Zebra, SATO and Datamax printers compatible with Windows VISTA (32bit & 64-bit), Windows 7 (32bit & 64-bit) and Windows 8. Can I install Version 3.6 over an existing installation of an earlier version? No. You'll want to back up all your label formats and databases, and uninstall Legitronic Labeling Software before using Version 3.6..
Is Legitronic Label Printing Software 3.6 backward compatible with earlier versions of Legitronic Labeling Software? No. Like previous releases, once you've opened and saved a label format in Legitronic Label Printing Software 3.6.4, you cannot open the format in an earlier version. What does a "dongle not found" error in Legitronic 3.6.4 mean? How can I get a printer driver for Legitronic versions 3.X? Legitronic Supported Printer Drivers are included on our Software Installation CD. How do I install a printer driver in Legitronic versions 3.X? Can I use Legitronic Label Printing Software 3.6 in conjunction with my Database? What do I need to run Legitronic Label Printing Software 3.6? What does a "dongle not found" error in Legitronic 3.X mean? b) In Windows select >Start >Programs >Weber Marking Systems >Legitronic Labeling Software For Windows >Sentinel Installer or NT Sentinel Device Driver. The printer drivers are included on the Software Installation CD. Short for Open DataBase Connectivity, a standard database access method developed by the SQL Access group in 1992. The goal of ODBC is to make it possible to access any data from any application, regardless of which database management system (DBMS) is handling the data. ODBC manages this by inserting a middle layer, called a database driver , between an application and the DBMS. The purpose of this layer is to translate the application's data queries into commands that the DBMS understands. For this to work, both the application and the DBMS must be ODBC-compliant -- that is, the application must be capable of issuing ODBC commands and the DBMS must be capable of responding to them. Since version 2.0, the standard supports SAG SQL. What does a "security module not found" error mean in Legi for Windows 2.X? 1. Check the version of your PC Operating System. The security module is compatible only with Windows 3.1, Windows 95, and Windows 98. 2. 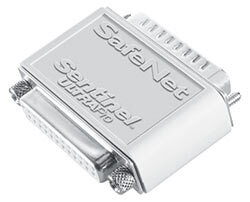 Plug the security module into the parallel port on your PC. 3. If the same parallel connection is used for the printer, change the parallel port configuration in Windows to "Printer Port" from the default "EPC Printer Port." How do I install a printer driver in Legi for Windows version 2.X? Legi for Windows version 2.X has its own drivers and does not use standard Windows drivers. To install a driver, select "Configuration" from the main Legi for Windows, then select "Printers." Select your printer from the printer list and click on "Connect to Port." Where can I get printer drivers for Legi for Windows version 2.X? In Legi for Windows versions 2.X, drivers are part of this 16-bit program. Please see How to install a printer driver in Legi for Windows version 2.X.X for more information. 1. Select "Label Design" and open your label template. 2. Select the "Settings" menu, then select "Label" and "Printers" options. 3. Change the value of the darkness. 4. Enter 999 for the darkness setting if you want to use the printer's darkness setting. 2. Select the "Settings" menu, then select "Label" and "Printers Options." 3. Change the value of the print speed. 4. Enter 999 for the print speed setting if you want to use the printer's speed setting. The label content prints too high or too low on my media. How can I adjust this? 3. Change the value of Label Top Adjustment setting. 4. Enter 999 for the Label Top Adjustment setting if you want to use the printer's Label Top setting. What does a "null global memory block" error mean? 2. Delete all files that were found in Step 1. 3. Restart Legi for Windows version 2.X. What does an "error opening language table" error mean? What does an "paradox" error mean? Can I still get help with Legi 80(v1.7.5)? Legitronic 80, an 8 bit program that ran under DOS, is no longer supported and no help is available. A dongle is one of the licensing methods that Legitronic uses. It is a hardware module that can be parallel or USB. During software installation, the "Hardware Key Single User" option must be selected for the license type to use this type of licensing. Where does a dongle connect? If it is a parallel dongle, it will connect directly to your computer's parallel port and other parallel devices might be connected through it; for example, another printer. 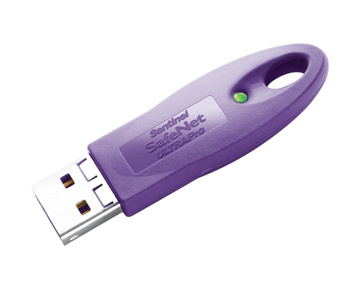 If it is a USB dongle, it will connect directly to any USB port on the PC. What does an "Unable to Communicate with the printer" error mean? 1. Check the communication settings used on the printer and the computer port; these have to match exactly. The default serial communications settings on most printers is Baud rate (bits per second) 9600, Parity-None, Stop Bits 1, and Host Handshake (flow control) Xon/Xoff. 2. In Windows Printers and Faxes area, check the "Ports" tab under printer's properties and make sure "Enable Bi-directional Support" is unchecked. 3. For serial communications, make sure that a Weber printer cable is used. What does a "Printer Offline" error mean? Go into the printer driver properties and open the "Ports" tab. Uncheck the "Enable Bi-directional Support" option, and reboot the computer. Can I use Legitronic Labeling Software with Windows Vista? Software version 3.6.2 will run on 32 bit versions of Windows Vista, Business and Ultimate, and 32 bit Vista will run on 64 bit machines. At this time, only Zebra printer drivers for Vista are included in Legitronic 3.6.2. Early in 2010 we will be releasing Legitronic Labeling Software version 3.6.3 which will include 32 bit drivers for Sato printers. Note that LLS 3.6.3 will only run on the same 32 bit operating systems as listed above. Can I use Legitronic Labeling Software with Windows 7? Software version 3.6.6 up to current versions v3.7.x will run on Windows Professional 7, 8 and 10 (32 & 64 bit) Operating systems. The software also supplies printer drivers for Zebra, Sato and Datamax printers. The latest versions of Legitronic softwarte v3.7.3 and higher have "signed drivers" and are the better version to run on the latest operating systems of Windows 8 & 10 that require "signed drivers". Otherwise if you are using a prior version of Legitronic software version 3.6.6 you need to disable the driver signature enforcement under your Windows operating system settings. How do I use Legitronic to Design and Print Labels? Using Legitronic to Design and Print Labels will show you all you want to know about designing and printing your labels. Additionally, the CD you received your Legitronic software on contains an unabridged User Guide. How do I set up a database connection using Legitronic version 3.0.X - 3.5.X? How can I use Tracking Serial Numbers with Legitronic 3.X? How do I make a UPC Shipping Container Symbol (ITF-14)? How do I set up an ODBC connection for an Excel Spreadsheet with using Legitronic v3.6.2 &/or Later? How do I install a USB printer driver for Legitronic versions 3.5.1 and higher? If I decide to upgrade my version of Legitronic, will it still work with my Windows Operating System? 1. Legitronic80 - This is an 8-bit labeling software that runs the MS DOS operating system. It also may be installed and used on Windows 3.1, Windows 95 and Windows 98. 2. Legitronic For Windows version 2.X - This is a 16-bit version of labeling software that may be used with Windows 3.1, Windows 95, and Windows 98 with a designated parallel port for the license key. 3. Legitronic Labeling Software 3.X - This 32-bit version may be used on Windows 2000 Professional, Windows XP Professional, and 32 bit versions of Windows Vista, Business and Ultimate operating systems. Can I convert a Legitronic 2.2.0 label format to Legitronic version 3.X? It has been 10 years since the first 32 bit version of Legitronic was released. The last update to the 16 bit Legi for Windows 2.2.0 was Release 4, and was written to address Y2K issues. Hardware platforms, operating systems, and application software programs have changed many times in the decade between LegiWin 2 and the current version of Legitronic Labeling Software. As such, some of the technological chasms are too wide to cross. That being the case, it is well worth weighing the effort spent trying to bring your old labels forward into a new version of software against that of simply creating new labels. Either way, you will spend considerable time and effort on the project and you will still have to learn to use the new software. Legi for Windows 2 Series labeling software came in several versions from 2.0 to 2.2. These are 16 bit applications developed for Windows for 3.11 to 9X. While the latest version, 2.2, can be migrated directly into Legitronic Labeling Software 3.6, the earlier versions cannot. And again, a 2.2 label may not function in 3.6. This is a lengthy, very detailed and highly technical process and it is entirely possible that the label format file will be corrupted during this process or that the file will simply fail to migrate into the new software. This process cannot be performed quickly, or "walked through" over the phone. You will have to touch each label several times in both the old and the new software. You will need to be fluent in using MS Windows XP Professional, including some of the more advanced features such as setting up ODBC driver links and OLE DB driver links. You will need to have access to a Windows XP Professional login account with administrative permissions over the system you will be working with. You will also need to know how to work with MS Access or the database program you will be using. Additionally all versions of the Legi for Windows 2 Series software came with their own integrated Paradox database utility. The Paradox tables created with Legi for Windows 2.2 can be imported directly into MS Access 2003, while the Paradox tables created with Legi for Windows 2.1 and earlier cannot. The 2.1 Paradox tables must be exported into and saved as a CSV file before they can be opened in MS Access 2003. Weber Packaging Solutions, Inc. Product Systems management reserves the right to determine whether or not a particular application is a good candidate for migration. Can I use my old Legitronic 2.X database with the current versions of Legitronic Labeling Software? No. The older versions used a database management system that is not ODBC compliant. 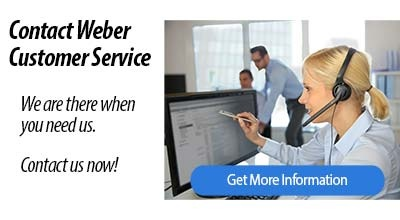 You must convert the database to one that is ODBC compliant. Refer to: What is ODBC? How do I convert a Legitronic 2.2.0 database to a MS Access database to be used with Legitronic version 3.X? Can I update my old DOS Legitronic label formats to the current versions of Legitronic Labeling Software? No. The older DOS versions ran in an 8 bit operating environment. The current version runs in a 32 bit operating environment. In the middle there were versions that ran in a 16 bit operating environment. This means that the as Operating Systems have changed in fundamental architecture three times, (soon four, with the release of Windows Vista) so has Legitronic Labeling Software. There is so much effort involved in trying to migrate from 8 bit to 16 bit to 32 bit versions of Legitronic, and so much functionality is lost that it requires less effort to start fresh.